A virtual guide to Vatican City, a landlocked sovereign city-state located within the city of Rome in Italy. The State of Vatican City is the headquarters of the Roman Catholic Church. It is the world's smallest independent 'country' with a population of about 800 people and an area of 0.44 km² (0.17 sq mi). Vatican City State was founded on 11 February 1929 following the signing of the Lateran Pacts between the Holy See and Italy. Located within Vatican City is the Apostolic Palace, the residence of the Pope. Vatican City State is the territory of the Holy See (Sancta Sedes), the seat of the episcopal jurisdiction and the central government of the Catholic Church. Although the Vatican City is closely associated with the Holy See, it is distinct from the Holy See. The Holy See, not the Vatican City, maintains diplomatic relations with other sovereign states and foreign embassies are accredited to the Holy See, and it is the Holy See that establishes treaties and concordats governing relations between the Papacy and other entities. The Vatican City State, sovereign and independent, are the remnants of the papal states that in 1859 comprised an area of some 17,000 sq mi (about 44,000 km²), this is about the size of Denmark. Popes in their secular role ruled much of the Italian peninsula for more than a thousand years until the mid 19th century, when many of the Papal States were seized by the newly united Kingdom of Italy. In 1870, the pope's holdings were further circumscribed when Rome itself was annexed. Disputes between a series of "prisoner" popes and Italy were resolved in 1929 by three Lateran Treaties, which established the independent state of Vatican City and granted Roman Catholicism special status in Italy. About 1 billion people worldwide profess the Catholic faith. On 19 April 2005 the German Cardinal Joseph Ratzinger was elected, his papal name still is Pope Benedict XVI, he resigned on 28 February 2013. His successor is Pope Francis, born Jorge Mario Bergoglio, the first Jesuit pope was elected on 13 March 2013. 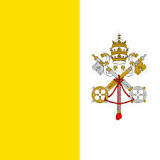 Type: Papacy; ecclesiastical governmental and administrative capital of the Roman Catholic Church. Independence: Lateran Pacts confirming independence and sovereignty of The Holy See signed with Italy on 11 February 1929. Constitution: new Fundamental Law promulgated by Pope John Paul II on 26 November 2000. Languages: Italian, Latin, French, various other languages. Industries: Printing; production of coins, medals, postage stamps, a small amount of mosaics and staff uniforms; worldwide banking and financial activities. Vatican City State is governed as an absolute theocratic elective monarchy. Chief of State is the Pope. The Pope (also the Bishop of Rome) is elected by the College of Cardinals during a papal conclave. The Servant of the Servants of God (the Pope) is usually elected for lifetime. Head of Government is the Cardinal Secretary of State, he is appointed by the Pope. Head of Government of Vatican City is the President of the Governorate of Vatican City State, he is appointed to a five-year term by the Pope. Official site of the Holy See, information available in English, Italian, German, Spanish, French, and Portuguese. The Secretariat of State of the Holy See. Information on the Roman Curia with its institutions. 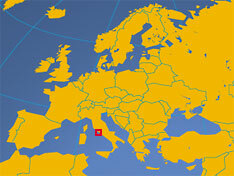 The page provides general information about the Holy See and Vatican City State. The Office for the Clergy, The Catechetical Office, and The Third Office. Official site of the Permanent Observer Mission of the Holy See to the United Nations. Official website of the Diocese of Rome, a diocese of the Catholic Church in Rome, Italy. Its bishop is the Pope, successor to St. Peter and the "Supreme Pontiff of the Universal Church", the elected leader of the Catholic Church. The Diocese was stablished in the 1st century, its current bishop is since March 2013 Pope Francis. Political map of Vatican City State. Searchable map and satellite view of Vatican City State. Labeled satellite view and map of Saint Peter Basilica and Vatican City State. Daily news and Documentation, daily bulletins. Pontifical Mission Society news service - Congregation news. Magazine on what is going on "Inside The Vatican". CNS is the primary source of national and world news that appears in the U.S. Catholic press. International News Agency covering events, documents and issues from or concerning the Catholic Church. Site of the museums with their five hundred-year- old art collections. Documents and collections of the Vatican Library and the Vatican Secret Archives. 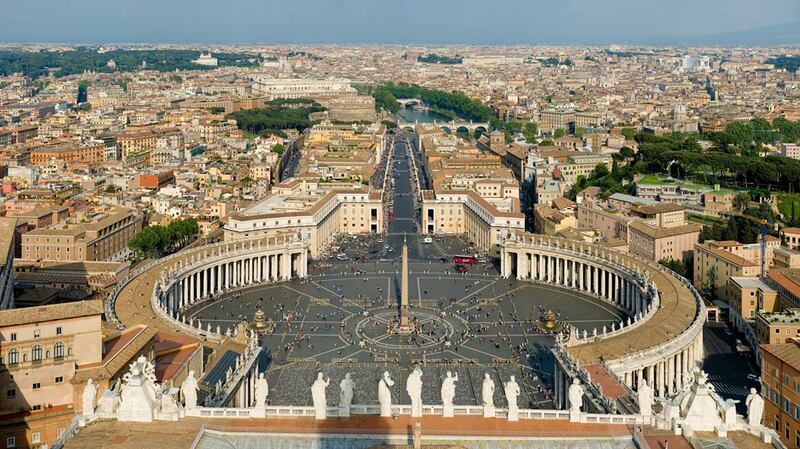 Panoramic view of St Peter's square in Vatican City, Rome. The official tourist website of Rome provides information to guides and city tours. has also information on Vatican City. Comprehensive information on the Catacombs of Rome, the ancient underground cemeteries, used by the Christian and the Jewish communities, above all at Rome. Site provides a map and photos of buildings in the Vatican City. Vatican City entry at UNESCO World Heritage Centre. The Pontifical Academy for the study of the social sciences, primarily economics, sociology, law and political science, established by the Holy Father John Paul II on 1 January 1994. Site of the Pontifical Gregorian University. The Library of the Holy See. One of the oldest astronomical research institutions in the world. Facade of the Archbasilica of St. John Lateran with statues of the twelve Apostles on the roof. The oldest church in the West (consecrated in 324 AD) houses the cathedra of the Roman Pontiff. 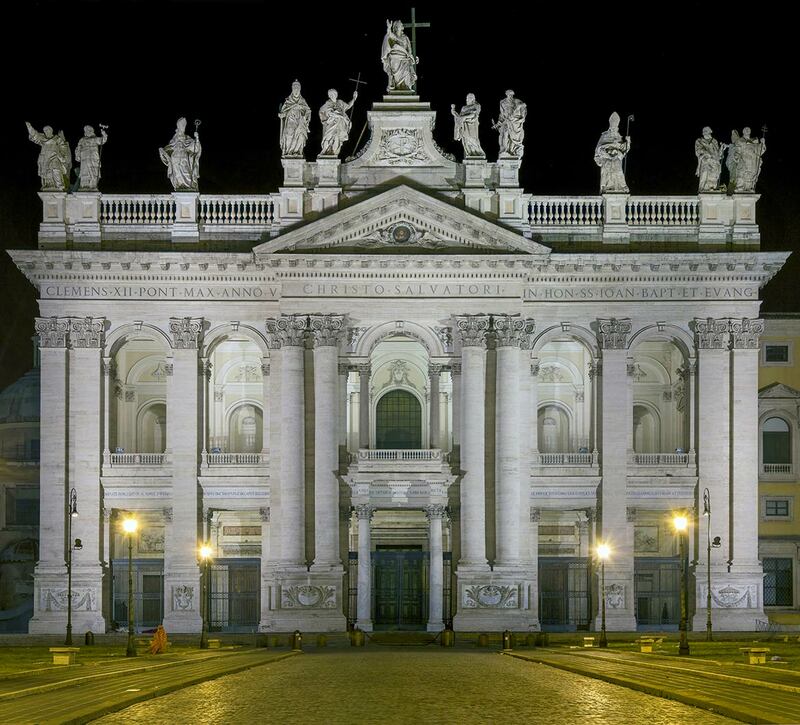 The archbasilica is located within Rome, outside Vatican City. Page with the History of the Secretariat of State of the Holy See. Brief History of the Vatican Museums. Collection of digitized papal bulls, letters and briefs from 1477 to 1899. Brief history of the Holy See's Diplomacy. The origin of the Holy Year. How is the Pope elected? Article about the rules of electing a Pope. Wikipedia article about History of the Papacy. List of popes including their biographies (Wikipedia). The Order of Saint Augustine is a Catholic Religious Order, which, was formally created in the 13th century combining several previous Augustinian eremetical Orders into one. The Order of Saint Benedict is a Roman Catholic religious order of independent monastic communities that observe the Rule of Saint Benedict. Information about monastic Benedictines, men and women, and the Rule of Benedict. Oblates, monks, Sisters, nuns and brothers in abbeys, monasteries and priories worldwide. The Order of Cistercians is a Roman Catholic religious order of enclosed monks and nuns following closely the Rule of Saint Benedict. International website of the Cistercians Common Observance. Charter of Cistercian Abbeys and Sites in Europe (in French). The Order of Cistercians of the Strict Observance (also known as “Trappists”) is a Roman Catholic contemplative religious order, consisting of monasteries of monks and monasteries of nuns. The official homepage of the Order of Cistercians of the Strict Observance, more familiarly known as Trappists. The Order of the Brothers of Our Lady of Mount Carmel or Carmelites (Latin: Ordo Fratrum Beatæ Virginis Mariæ de Monte Carmelo) is a Roman Catholic religious order founded, probably in the 12th century, on Mount Carmel, a coastal mountain range in northern Israel. Carmelite Province of the Most Pure Heart of Mary. The "Order of Preachers" (Latin: Ordo Praedicatorum), more commonly known after the 15th century as the Dominican Order or Dominicans, is a Roman Catholic religious order founded by Saint Dominic de Guzman in France. International site of the Dominican Family. Franciscans are members of a mendicant Catholic religious order whose people and groups adhere to the teachings and spiritual disciplines of Saint Francis of Assisi. The Order of Friars Minor is the most prominent group within the Franciscans. It comprises three separate groups, the Observants, most commonly simply called "Franciscan friars," the Capuchins (Order of Capuchin Friars Minor), and the Conventual Franciscans (Order of Friars Minor Conventual), each considered a religious order in its own right. The non-governmental organization at the United Nations, it operates under the sponsorship of the Conference of the Franciscan Family (CFF). The Society of Jesus is a worldwide Catholic men's religious order, it is known for its work in education, spirituality, missions, justice and service to the Roman Catholic Church. The members are called Jesuits and are also known colloquially as "God's Marines". The House of the Superior General. The Jesuit Conference of European Provincials (CEP). The Society of Jesus in the United States. The Salesians of Don Bosco, are a Roman Catholic clerical religious institute. The Order of St. John was founded in 1099 by the armies of the First Crusade. The Strong Right Arm of the Church, founded in 1882, New Haven, Connecticut. The Knights of Columbus is the world's largest Catholic fraternal service organization.